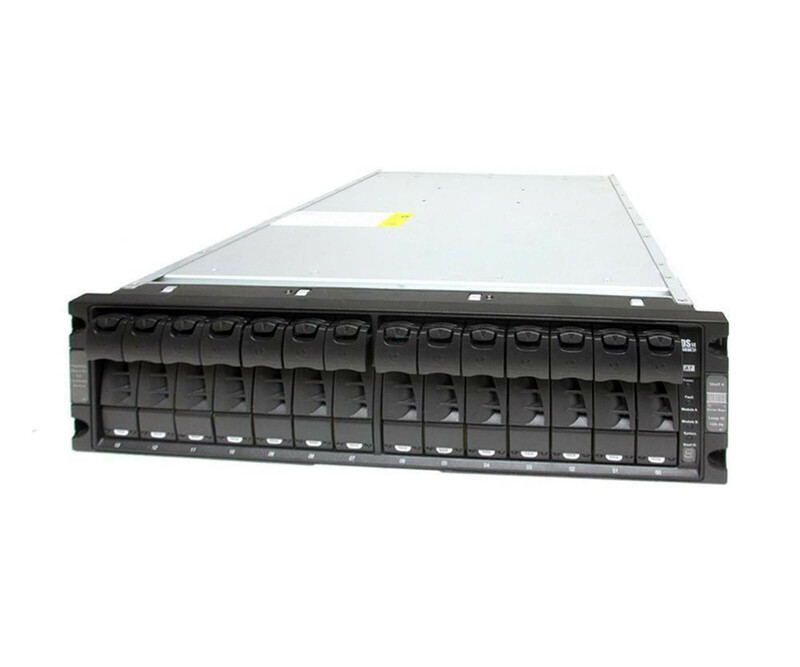 NetApp Storage Shelf DS14MK2 DS14 MK2 - 2x ESH2 - 14x 147GB FC HD - Used"
NetApp was able to, through years of experience, providing a prestigious name in the field of storage solutions. NetApp was able to, through years of experience, providing a prestigious name in the field of storage solutions. Therefore, you also get to the Storage Shelf DS14MK2 an enterprise system which companies particularly addressed the need to implement a lot of space in a small space and keep it in constant access. From us, the used hard disk shelf has been fully checked, so that only optical traces of use may exist. For your applications and corporate data is the NetApp Storage Shelf DS14 MK2 a total of 14 hard drives available. The system was also equipped with 500 GB hard disks, offering a total storage capacity of approximately 7 TB available. Any upgrades, if you need more space are, of course, not excluded. The individual drives of Storage Shelf DS14MK2 work in daily operation at 7,200 r / min. Thus, the NetApp disk shelf for a variety of missions, such as archiving, virtualization, or just your employees digital collaboration is. After use in the rack are, in spite of the high storage capacity, only three height units (3U) occupied.